 Two dynamic individuals with an understanding of business and a taste for a challenge are being sought to help drive forward the work of the Greater Lincolnshire Local Enterprise Partnership. Two existing LEP board directors – farmer Mark Tinsley and Andy Orrey, Chief Executive of housing partnership Ongo – are stepping down after significant input and the LEP is now inviting applications to fill the vacancies. The new recruits will have a private-sector background in food or housing, an understanding of Greater Lincolnshire and access to a network of influential contacts. “The food and drink sector has grown faster than any other major industry in the UK in the last six years, and Greater Lincolnshire drives the UK's largest and most progressive food sector based on clusters of dynamic businesses and well developed supply chains,” said Ursula Lidbetter MBE, Chair of the Greater Lincolnshire LEP. “Our own target for delivery of the agri-food sector plan is to double its contribution to the economy by 2030. “Meanwhile housing in Greater Lincolnshire is inextricably linked to the economy and contributes substantially by creating two jobs for every house built. New housing has the potential to attract and retain the workforce needed to enable growth. “Greater Lincolnshire is committed to facilitating housing growth and our partners’ Local Plans envisage the delivery of significant numbers of new dwellings by 2031. These board roles are voluntary and will involve attending around eight board meetings per year, chairing own sector boards and activity, influencing MPs locally and in Westminster, and feeding into the important sector work of the Midlands Engine. For an informal discussion contact Kate Storey on 01522 550540 and see the Director's Recruitment Pack below. CVs should be emailed with a covering letter by Friday 8th December 2017 to kate.storey@lincolnshire.gov.uk.